Periodically the library makes information resources available for a trial period in order to assess the resource with students and faculty. The Loeb Classical Library was founded in 1911 by James Loeb making the work of classical authors accessible in high-quality editions to as many readers as possible. Read Greek and Latin texts alongside English translations. 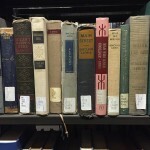 The digital Loeb Classical Library now extends its founding mission with an interconnected, fully searchable, perpetually growing virtual library of all that is important in Greek and Latin literature. 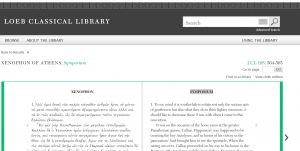 The Loeb Classical Library is available on a trial basis until April 30, 2015. Let us know what you think about this resource!